Energy, water and waste conservation are the focus of our daily operating strategy. We minimize power consumption through sensor-controlled utilities, high-efficiency lighting, and operations strategies that allow us to minimize usage in non-occupied spaces. We are committed to using green cleaning products, sourcing local food and beverage, composting food waste, and increasing our diversion rates year after year. 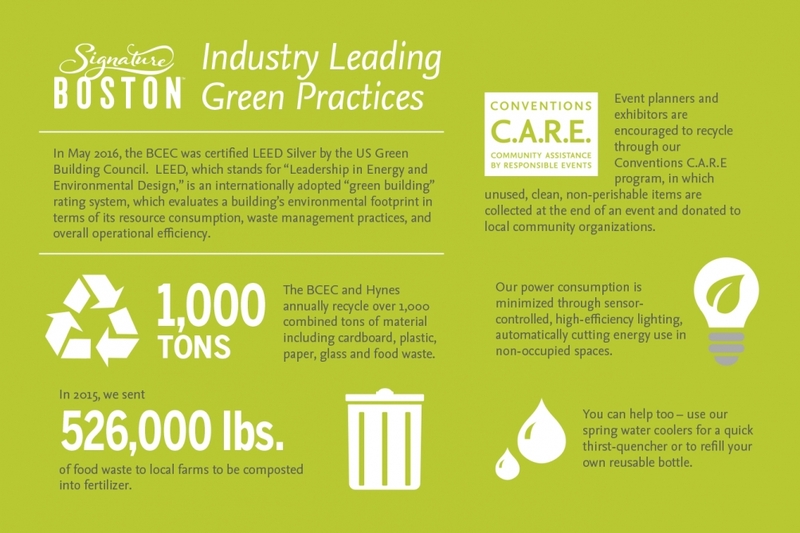 When it comes to running a convention center, green means much more than recycling.